Whether your plans include a bridal luncheon, rehearsal dinner, and/or a wedding reception, Gormley’s at the Gibson can accommodate your special event needs. 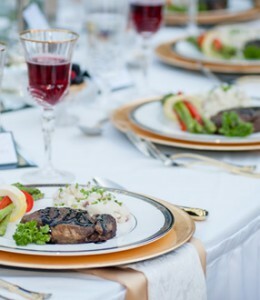 Contact us to request an estimate for your wedding or catering your special event. Click here to view a sample event menu. The Gibson Inn is the perfect romantic setting for your special day. With 30 guest rooms, highlighted by Victorian style appointments and wrap around porches, the Gibson Inn is the perfect setting for you and your guests to enjoy the “Forgotten Coast”. Quaint shops, beautiful beaches and the historical charm of Apalachicola will give your guests an event to remember.